Another Friday, another setting. Today the weather is gracing us with warmth and (filtered) sunshine, and it's hard not to feel the excitement of true spring weather in the air. 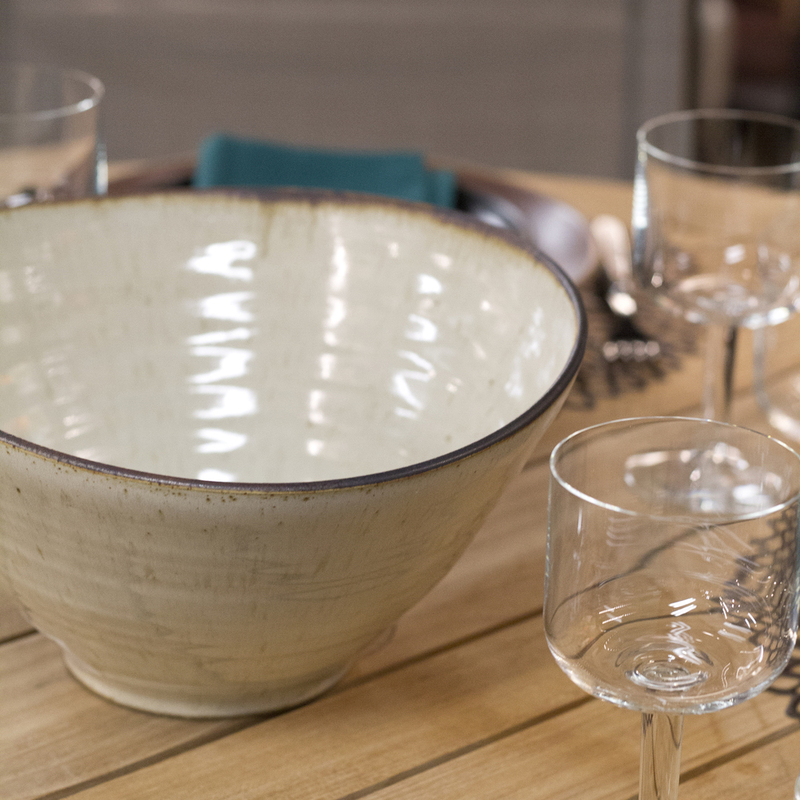 This week, the Didriks store manager Katy put together our setting, which features one of my favorite Chilewich placemats, and a cohesive, earthy theme. It's a true blend of some of our best brands - Chilewich, Alessi, Heath Ceramics, Sabre, Simon Pearce, Libeco Home -- it doesn't get much better than that! I love that this setting has a lot of deep browns - reminiscent for me of the warming ground, now ready to play home to the spring's new greenery. The colorful pop of the bright verde napkins here is symbolic of the small plantlings that are starting to pop up all over the place, and the bursting buds on the trees. Photo 1: Individual place setting: Heath Ceramics Coupe Dinner Plate in Redwood with a Heath Ceramics Coupe Salad Plate in Onyx and a Libeco Home Polylin Napkin in Verde. All of this is set over a Chilewich Dahlia Tablemat. Photo 2: Glassware: Alessi All-Time Wine Glass and Alessi All-Time Water Glass. Photo 3: Flatware: Sabre Tortoise collection.